Sliced smoked Prosciutto and Salami Ungherese with smoked Provola cheese. Keep refrigerated. 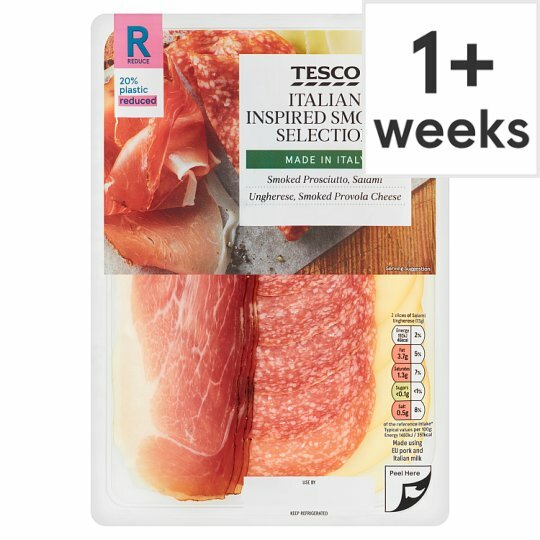 Once opened, consume within 2 days and by 'use by' date, shown.